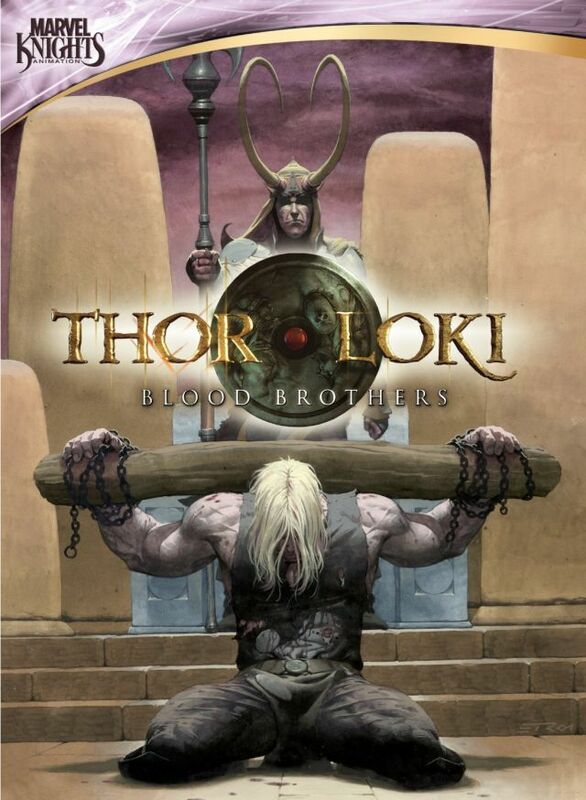 Thor & Loki: Blood Brothers is a motion comic, not a fully animated feature, which kinda threw my wife and I off-guard as we started to watch it. If you've never seen a motion comic before, I would say they are kinda like watching comic book panels on your TV with the characters voiced by actors. I've seen a few of these, and usually the "motion" part is just simple stuff, like rotating a body part at a joint. This title, however, goes way beyond that, as the makers actually created 3D computer models of some of the characters and give them real movement. But does going beyond the bounds of other motion comics really help? I thought it looked much less like a motion comic and more like a super-cheap animated film. I can't really say I have too much love for either motion comics or what this style is supposed to be, as if you have a story and characters that are interesting enough to put on a videoscreen, why aren't they good enough to get the real animation treatment? Reading a graphic novel is a completely different experience, as I can take my time on each panel and look at all the detailed artwork before moving on, and can easily go back if my eye didn't catch a detail which ended up being important. This is tough to do on a motion comic, and it's tough to identify with these characters who just sit there on the screen without moving excep for maybe a lip flap. But enough about motion comics in general, what about this one? I liked the idea behind the story, where we start off with Thor having been defeated by Loki, and now Loki is the ruler of their world, Asgard. 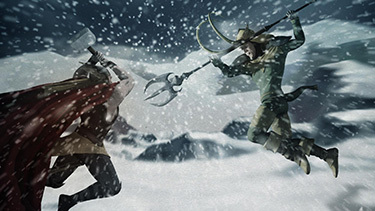 Both characters are much older than we're used to seeing, which indicates both have lived long lives, and gives us the feeling that this wasn't just another battle where Loki "wins" and shortly thereafter Thor defeats him and everything goes back to normal. This feels like it takes place sometime in the future during a final battle where Loki truly does defeat his brother. And I like that. What I don't like is that there isn't any battle, and in fact no action at all save for some short flashback scenes. This story is all about Loki, and how he adjusts to finally being the victor and ruler of Asgard. It is an emotional journey for Loki. A bit interesting? Yeah, but also a bit dull, at least for me. There is one point in the story where Loki learns that other versions of himself exist in other universes or dimensions or whatever, and they are varied in their appearance and backgrounds, but the one thing they all have in common is that they are evil, and it makes Loki question himself, as he always believed he was made by the environment in which he was raised, that his adopted father always intended him to become that bad guy that Thor was to overcome. This starts a war inside his head, pitting his long held beliefs against a new realization that he could possibly fight his supposed destiny and truly become good. As one would expect for a motion comic, the artwork was well done. It was all highly detailed and a pleasure to look at. 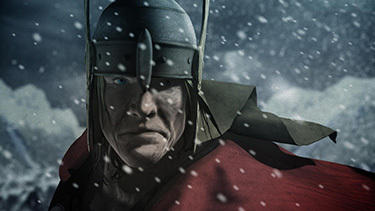 And for a motion comic the character animation was good as well, when it existed. But as I said, I'm not so sure if the animation helped or hurt.The motion comic I watched prior to this was Spider-woman, and I enjoyed that much more even though it had much less animation. And yet, even as I was watching that one, I wondered why they couldn't have done it as a fully animated feature. So I don't know. I wasn't a crusader for motion comics before I watched this, and it didn't do anything to bring me over to the cause.